As consumer demand for healthier food grows, frozen yogurt franchises are a good option if you’re looking to start or grow a business. There are a variety of frozen yogurt franchise opportunities available. With the help of FranchiseGrade.com, we have narrowed down the 11 best performing frozen yogurt franchises. If you’ve already chosen a franchise are in need of financing, consider using a rollover for business startups (ROBS). A ROBS allows you to use money you have in a qualified retirement account to buy a franchise without paying early withdrawal fees or penalties. If you have at least $50,000 in your qualified retirement account, call Guidant to talk to a ROBS expert. Froyo World is known as the “frozen yogurt lounge”, where customers are encouraged to sit back and hang out. They serve yogurts of different flavors, including a non-fat option, with more than 50 toppings to choose from. They also serve specialty cookies and pastries. Their target markets are university students, teenagers, and young adults. FroyoWorld was founded in 2010 and started franchising in 2012. There are currently 41 existing franchise units. You need an initial upfront investment between $305,120 and $470,000 if you want to become a FroyoWorld franchisee. Their ongoing fees include a 6% royalty fee and a 1% ad fee. Their contract agreement term is 10 years. Menchie’s Frozen Yogurt is famous for using its self-serve model where customers choose from a selection of flavors, fill up their own cups and choose their own toppings. They pay based on the weight of their filled yogurt cup. Menchie’s is the first to utilize the self-serve model and it clicked in the market and among consumers. Menchie’s was founded in 2008 and started franchising in the same year. 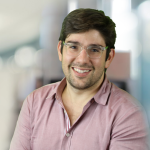 They currently have over 400 existing franchise locations and a total upfront investment range of $225,330 to $407,934 is required if you want to become a new franchisee. Their ongoing fees include a royalty fee of 6% and ad fee of 2%. Both their initial contract agreement and renewal terms are for the length of 10 years. Orange Leaf is also a self-serve frozen yogurt franchise that offers a variety of menus such as yogurt to-go containers, smoothies, waffle cones, and cakes. They encourage their consumers to mix flavors and toppings according to their creativity and preference. They also have a strong loyalty rewards program with accompanying mobile app. 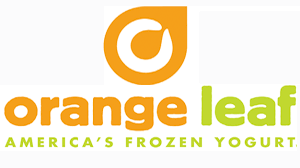 Orange Leaf has been in business since 2008 and started franchising in 2009. Each Orange Leaf location offers self-serve frozen yogurt with a rotating selection of flavors and a toppings bar. They currently have over 260 existing franchise units. You need an upfront investment of $116,759 to $362,200 to become a franchisee. Their ongoing fees include a 4% royalty fee and 1% ad fee. Their contract agreement lasts 10 years. Pinkberry is the tart frozen yogurt brand from Los Angeles, California. They pride themselves on creating distinctive products by selecting and combining fresh ingredients, such as their frozen yogurt that’s made with real milk and real yogurt and fruits that are hand-cut fresh daily. They serve frozen yogurt of different flavors and offer a variety of toppings from fresh fruits, chocolates, candies, cereals, nuts, and syrups, and smoothies. Pinkberry has been in business since 2005 and started franchising in 2006. They currently have over 100 existing franchise locations. If you want to become a Pinkberry franchisee, you need an upfront investment that ranges from $310,442 to $628,995. Their contract agreement lasts 10 years. Their royalty fee is 6% and their ad fee is 2%. Red Mango is a cafe-style yogurt chain that serves authentic frozen yogurt, yogurt and non-yogurt based smoothies, fruit-based smoothies, fresh juices, wraps, and salads. It is known as a yogurt chain for health-conscious individuals because the key focus of their business model is health and nutrition. They pride themselves on offering an all-natural, probiotic-rich yogurt. Red Mango was founded in 2006 and started franchising in 2007. They currently have over 100 franchise units available. An initial upfront investment of $193,500 to $466,000 is required if you want to become a Red Mango franchisee. Their contract agreement term is 10 years while the renewal term is 5 years. The ongoing fees include a 6% royalty fee and a 3% ad fee. Sweet Frog is a family-oriented frozen yogurt chain famous for their kid-friendly mascots known as “Scoop” and “Cookie”. At Sweet Frog, customers create their own combination of soft-serve premium frozen yogurt and choose their own toppings. Sweet Frog is also popular for their kids merchandise, such as lunch boxes and plush toys. They also host events like parties, corporate meetings, school programs, and contests. Sweet Frog has been in business since 2009 and started franchising in 2012. They currently have over 250 franchise locations available. If you want to become a franchisee, you need an upfront investment of $90,100 to $439,500. Their contract term is 10 years. Their ongoing fees include a royalty fee of 5% and an ad fee of 1.5%. U-Swirl is also a do-it-yourself type of frozen yogurt chain where customers simply pick up a cup, swirl it with any combinations of yogurt flavors, then top it off with their chosen toppings. They serve frozen yogurt in a variety of flavors, including gluten-free, dairy-free, and no-sugar-added options. They also serve cold-brewed coffee. U-Swirl Frozen Yogurt was founded in 2008 and started franchising in the same year. There are currently over 170 franchise units available nationwide. A total upfront investment range of $60,000 to $466,000 is required to start a U-Swirl Frozen Yogurt franchise. Their contract agreement lasts 5 years, and their ongoing fees include a 6% royalty fee and a 2% ad fee. Yogen Fruz is popular globally with over 1,000 franchise locations worldwide. However, they only have less than 100 existing franchise units within the United States. They serve soft-frozen yogurt in a variety of flavors with different toppings and smoothies. They also have the option for their customers to mix their own yogurt and pay based on the weight of the cup. Yogen Fruz has been in business since 1986 and started franchising in 1987. A total upfront investment range of $135,679 to $472,179 is required if you want to start a Yogen Fruz franchise. Their contract agreement lasts 10 years. The ongoing fees include a 6% royalty fee and a 3% ad fee. Yogurt Mountain offers a self-serve frozen dessert experience with their 16 flavors and more than 50 toppings. They can also serve frozen yogurt to parties and events through their catering service. Yogurt Mountain prides itself in having stores that are youthful-looking, and they target customers of different ages from preschoolers to senior citizens. Yogurt Mountain was founded in 2009 and started franchising in 2010. They currently have 31 franchise units nationwide. A total upfront investment between $252,990 and $557,300 is required to start a Yogurt Mountain franchise. Their contract agreement length is 5 years. The ongoing fees include a royalty fee of 6% and an ad fee of 2%. Yogurtland is another self-serve yogurt franchise that prides itself on using fresh and pure California milk without antibiotics or added hormones. Their aim is to provide their customers the highest quality ingredients and flavors to fill their cups. They offer unique flavors such as Mojito Sorbet, Maple Donut, and Root Beer Float. Their stores often have large spaces, usually 1,000 to 1,500 square feet. Yogurtland was founded in 2006 and started franchising in 2007. You need an upfront investment of $312,316 to $705,046 to become a franchisee. They currently have over 250 existing franchise locations nationwide. Their initial contract agreement length is 10 years, but their renewal term is 5 years. Their ongoing fees are a royalty fee of 6% and an ad fee of 2%. You Say When Yogurt offers a simple, flexible, and low-cost franchise opportunity, and they recently merged with Yobe Frozen Yogurt. They offer a self-serve low-fat and fat-free that’s made of real milk and no artificial sweeteners. Customers can choose their fresh fruit toppings. Aside from frozen yogurt, they also serve yogurt smoothies. 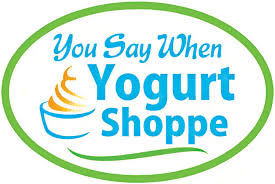 You Say When Yogurt was founded in 2008 and started franchising in 2009. They currently have over 30 franchise locations nationwide. A total upfront investment range between $68,000 to $168,000 is needed if you want to become a franchisee. Their contract agreement term is 7 years and their ongoing royalty fee is 5% to 6%. Frozen yogurt has become a popular franchise industry with many options to choose from. Since frozen yogurt is the healthier sweet treat option, venturing into this business means you can target both the health-nuts and those with a sweet-tooth. The 11 frozen yogurt franchise opportunities above are the top frozen yogurt chains available for franchising. 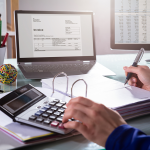 If you need financing for your franchise and have money in a qualified retirement account, you may want to consider a Rollover for Business Startup (ROBS). A ROBS allows you to use your retirement funds to start a business without paying early withdrawal penalties or taxes. If you have $50,000+ in your retirement account, talk to a ROBS expert at Guidant for more information. Any franchise opportunities in upper Michigan? Typically, you have to contact the franchisor that you’re interested in, in order to find out what territories are available. I recommend the how to buy a franchise article to start your research. Menchie’s is one of the franchise opportunities currently available in Florida.